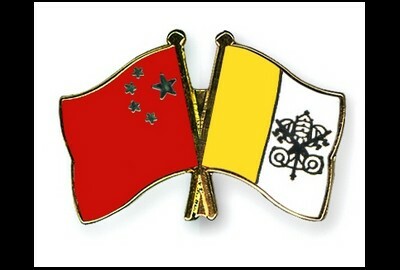 • Why does the Holy See persistently insist on dialogue rather than confronting the Chinese government? • What does it mean by communion between the local Churches and the universal Church? • On what criteria should the bishops in the local Churches of mainland China be appointed? • What role does the so-called Bishops’ Conference of the Catholic Church in China have? and what is its relationship with individual dioceses? §1. The Supreme Pontiff freely appoints bishops or confirms those legitimately elected. Cardinal John Tong Hon of Hong Kong has defended China-Vatican negotiations as a win-win situation while rebuffing worries that the Holy See would give up church principles and sacrifice the underground church in exchange for successful negotiations. His article, published in the Chinese and English diocesan weeklies on Aug. 4, comes at a time when China and the Vatican are ready for another round of negotiations this month. Negotiations between China and the Vatican have quickened since a working group was established in April. Both sides are ready to sign an accord, according to a report by Reuters on July 14. Cardinal Tong observed that many people in and outside China "wondered if Vatican officials or the pope himself may go against church principles and aim their criticism and strong reproaches at certain Vatican officials." "They even directly pinpoint their attack on the pontiff, claiming that Pope Francis has violated church principles upheld by Pope John Paul II and Pope Benedict XVI," he said. Some people are worried about sacrificing the legitimate rights of the underground church community while the eight illegitimate bishops, whom the pope intends to pardon on the occasion of the Year of Mercy, are being treated with excessive leniency. The cardinal rebuked these worries as "a mistrust of the love of the Holy See" and is "an offence against the Holy See and its delegated representatives in the negotiations." "Even though the concrete terms of the mutual agreement have not been made public, we believe that Pope Francis, as the protector of the church, would not accept any agreement that would harm the integrity of faith in the universal church," the cardinal said. Yet, he thinks the pope ought to give a clear and comprehensible explanation of the goal of the negotiation, the communion of the church, as well as his stance on the bishops' appointment and the future legitimization of the bishops' conference in China. China has insisted on electing and ordaining its own bishops. But, the Catholic Church rules that local churches have no authority to appoint their own bishops and that the church "desires that in the future no more rights or privileges of election, nomination, presentation, or designation for the office of bishop be granted to civil authorities." "We do not expect that the problems accumulated over several decades between China and the Vatican can be solved in one go but a China-Vatican agreement will certainly be a win-win outcome," he said. Without naming top party elites, Cardinal Tong acknowledged that "inside China, there are people who are skeptical" about the pope's authority on the bishops' appointment. Sun Chunlan, director of the United Front Work department, wrote in an article published on July 31 on Qiu Shi, a journal of the Communist Party's Central Committee, that stressed that "there is no subordinate relationship" between religion in China and those outside China. Interpreting the speech made by Chinese President Xi Jinping at the National Conference for Religious Work in April, Sun noted that there are now 200 million religious believers in China, and being too loose or too tight on religious management are both incorrect. On July 10, the Party's main print mouthpiece, the People's Daily, also published three articles, reiterating the importance of sinicization and asking religious groups to "resist control from a foreign version of the same religion." The phrase was used the first time, believed to be pinpointing the Vatican. Cardinal Tong's article reflects the two apparent opposite forces in Hong Kong and China over dialoguing with the communist regime. Such "line struggles" exist not just in the Catholic Church but also in Protestant denominations, between the leaders and the faithful, as well as in the split society of Hong Kong, where people felt diminishing freedom and increasing suppression on human rights. In a recent article on his blog, Cardinal Joseph Zen Ze-kiun said he was misunderstood when he confronted the regime but questioned if there was basis for dialogue. "How can you call it 'confrontation' if a lamb refuses to be eaten by the wolf?" he said. However, Cardinal Tong refuted this and said that the Holy See has not openly criticized China's policies on human rights and has not attempted to change the political policies of the Chinese government. "They say it seems that the Holy See has given up certain values that it has upheld. This kind of criticism is unfair," he said.